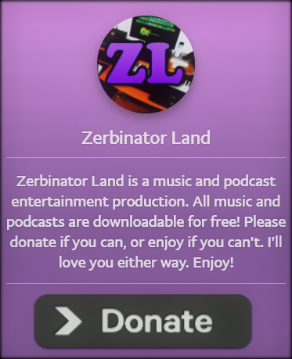 The Zerbinator Land Apparel Store is now open! Please come on in and see if there is anything you’d like to purchase. There are 15% to 20% discounts regularly, and all items help the podcasts and music grow bigger and better than they already are. And they are massive! Enjoy!